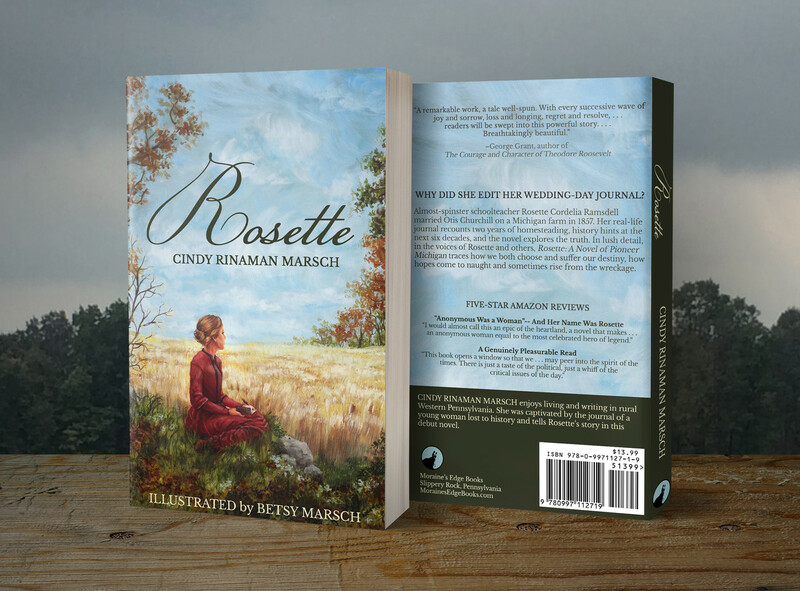 Order or preview the Kindle e-book or the illustrated paperback of Rosette on Amazon with the links above, or order an autographed book, bookplate, or gift card with the form to the right. "Blizzard" is a short story available only on Kindle, its content a prequel or companion to Rosette. When almost-spinster school teacher Rosette Cordelia Ramsdell met Otis Churchill on a Michigan farm in 1856, she thought he might be the one. Her real-life journal tells what happened over the next two years. History tells what happened over the next six decades. This literary historical novel explores the truth. We meet Rosette in 1888 as she revises a crucial page of her journal, then we live the journal's entries in the voices of Rosette and others around her. In lush detail, this novel by Cindy Rinaman Marsch traces how we both choose and suffer our destiny. It shows how hopes that have come to naught can sometimes rise again from the wreckage. Learn more about Rosette's world at RosetteBook.com . The text of the novel, enhanced with beautiful fonts and twenty-four charcoal illustrations. Autographed, with dedication of your choice. 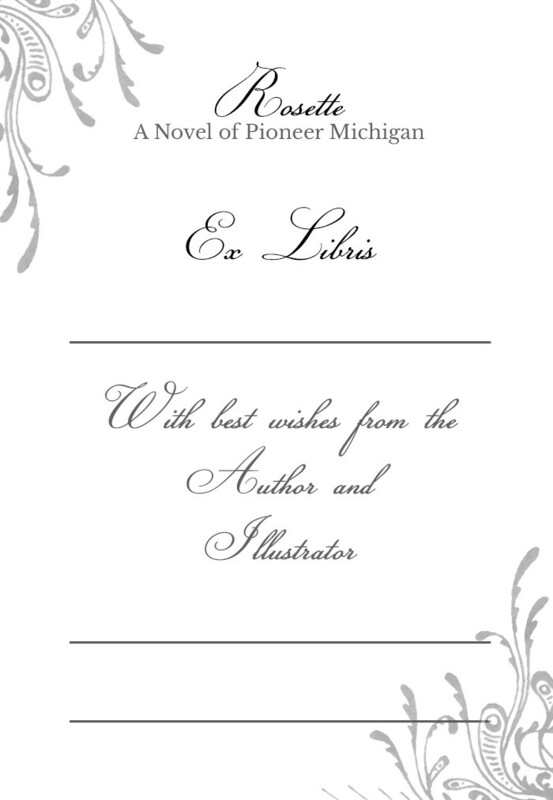 Or purchase the book on Amazon and order an autographed bookplate here. The gift card is a beautiful textured note card with the image (but no text) from the cover of the novel. The gift card option may be completed or sent blank as you direct - its cost is covered by the shipping cost. 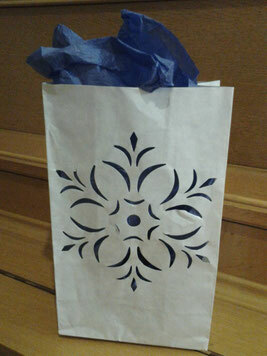 While supplies last, you may request that your order of a copy of Rosette be packaged in a beautiful cut-out-design gift bag with tissue in your choice of color (depending on my supplies). This is a great way to make Moraine's Edge Books your one-stop-shop for easy gift-giving - I can dedicate the book and send it as you direct. Just add details to the notes area of your order. 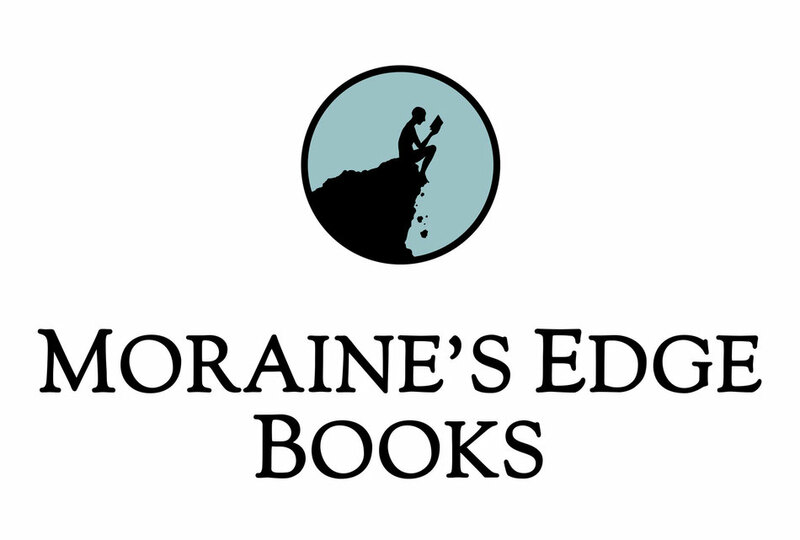 Moraine's Edge Books is in the business of writing deeply, illustrating and designing beautifully, editing carefully, and offering assistance for publishing well. Let us delight you with what we have done, and let us assist with your creation. Cindy Rinaman Marsch, M.A., operates Moraine's Edge Books, offers editing services privately and through Reedsy.com, and is a partner member of The Alliance of Independent Authors and an individual member of the Editorial Freelancers Association. Cindy Rinaman Marsch is a participant in the Amazon Services LLC Associates Program, an affiliate advertising program designed to provide a means for sites to earn advertising fees by advertising and linking to Amazon.com. 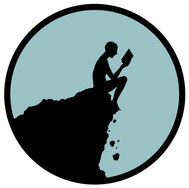 1 Amazon requires that we sell the book for a price no lower than their sales price.